This dress is new, never worn, has not been altered. 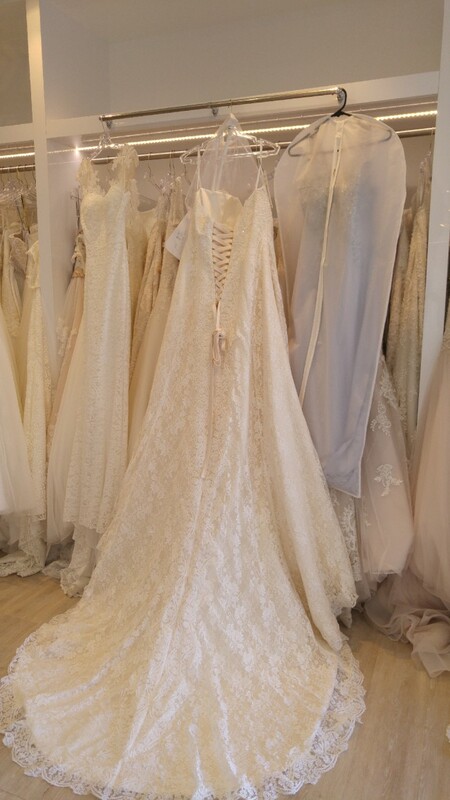 This dress is beautiful with ivory lace and a rum coloured underlay. Comes with extra lace so straps can be added if desired. Once you send a message, Pam can invite you to purchase the dress.